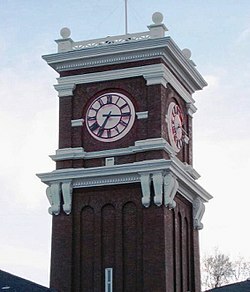 Pullman is at 46°43′59″N 117°10′19″W﻿ / ﻿46.733°N 117.172°W﻿ / 46.733; -117.172 (46.733, -117.172). at an elevation of 2,352 ft (717 m) above sea level. According to the United States Census Bureau, the city has a total area of 9.88 square miles (25.59 km2), all of it land. The water supply is a natural aquifer. 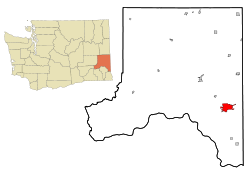 The surrounding region, called the Palouse prairie, or simply the Palouse, is noteworthy for its fertile rolling hills where winter and spring wheat, barley, lentils, and peas are grown.